All the big talking points and game-changing moments from Super League following the opening round of action. 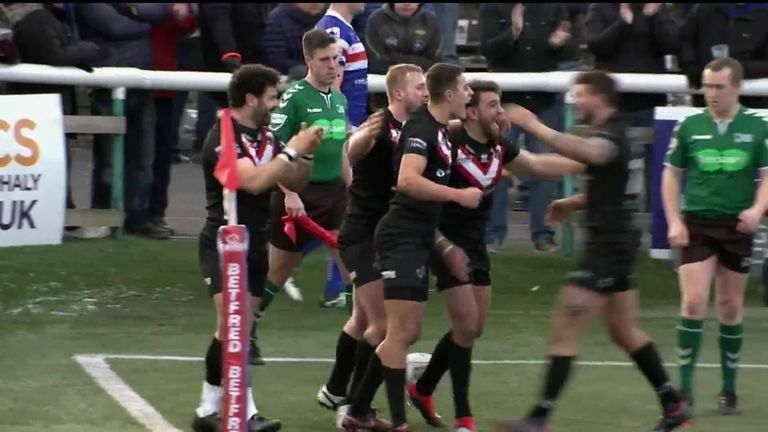 London Broncos marked their return to the Super League stage for the first time since 2014 in some style with a 42-24 win over Wakefield Trinity at the Trailfinders Sports Ground. Rhys Williams and Eddie Battye both grabbed two tries to stun their visitors and perhaps those who had written off their Super League survival chances before a tackle had been made. "Lots has been written about where we're going to finish this season but we've not paid any attention to that," up and coming Broncos coach Danny Ward said after the game. "We're just doing our own thing and maybe it's working." Wigan Warriors' title defence did not get off to the greatest start with fierce rivals St Helens claiming a 22-12 victory in the season-opener on Thursday night. 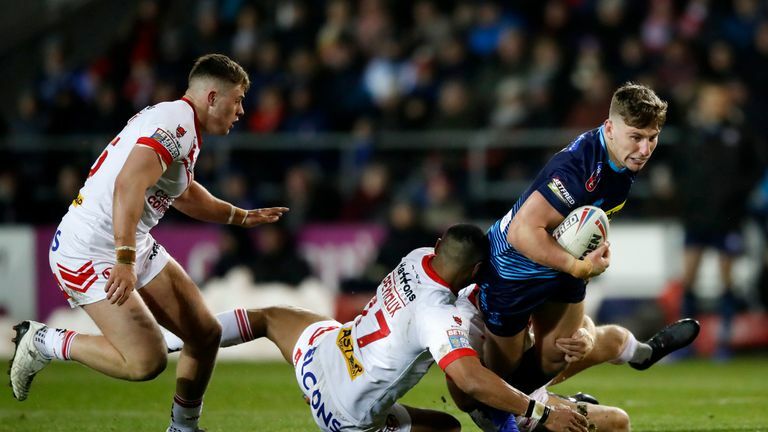 Highlights of St Helens' victory over the Warriors on the opening night of Super League 2019. 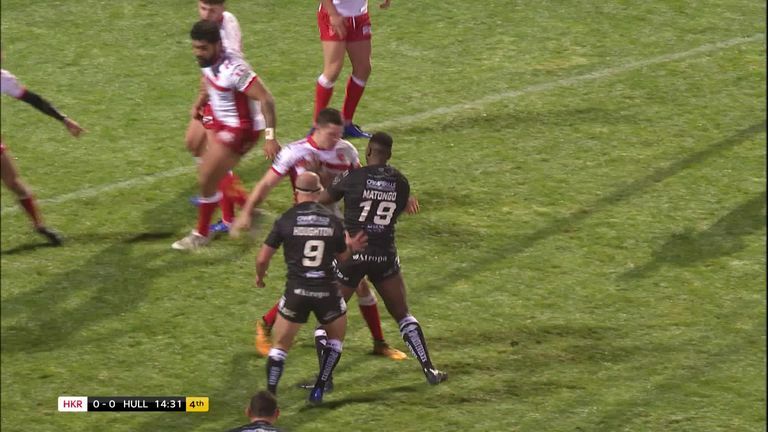 Already reeling from a two-point deduction for a salary cap breach on the eve of the game, new Wigan coach Adrian Lam was left to rue a slow start to both halves that proved costly for the visitors with Saints' Kevin Naiqama scoring with the season just 93 seconds old. Equally impressive was the finish from Regan Grace for Saints' third try that put them back into the lead which they would not relinquish. As a result, Wigan are already four points adrift of the Super League pacesetters after just one game! The opening round of Super League games were the first match to be played since the law changes announced at the turn of the year designed to make the game 'faster, more intense and more dramatic'. What a opening weekend for #rugbyleague. Two intense classic derby games. A stellar performance by Warrington. London back in the big time and winning. The changes include the introduction of golden-point extra-time, shot clocks to speed up scrums and drop outs and a reduced number of interchanges to increase the fatigue factor. Time will tell if the changes have the impact that Super League chief executive Robert Elstone hopes they will but the opening weekend has offered some promising early indicators. After the opening round of @SuperLeague, how long will it be before rugby union adopts the shot clock and claims it as its own invention? I'll give it two years maximum. If it was drama you were after then KCOM Craven Park was the place to be on Friday night where Hull KR's 18-16 victory over Hull was decided just six seconds before the final whistle! But in the very last play, Hull KR worked the ball wide and Jimmy Keinhorst produced a spectacular dive at the corner to turn the game on its head and send the home fans home delirious. Hull boss Lee Radford refused to be too downcast following the game, commenting: "If we continue to turn up with that attitude and we add some finesse down the other end, we'll be OK."
Barba set to be barred from Super League return? Not so long ago former Saints star Ben Barba was on top of the rugby league world having capped a stand out season with the Man of Steel award. In the process, he wrote his name into the history books as the first player to win that award and the Dally M Medal. Spin forward a few short months and Barba is untouchable in another sense having been sacked by North Queensland Cowboys for a 'significant breach of contract', with further reports detailing an alleged assault on his partner outside a Townsville casino. Following an investigation, the NRL is set to impose a life ban and any hopes the troubled 29-year-old had of resurrecting his career once again in Super League appear to have been dashed by Rugby League chiefs. An RFL statement said: "We will always uphold any ban imposed by the NRL (subject to the right of appeal to our own operational rules tribunal), under a reciprocal agreement between the RFL and the NRL." Wigan's woeful week didn't get off to a great start with their DW Stadium failing to earn a place among the host stadiums for the 2021 Rugby League World Cup. The 21 venues include a host of primarily football stadiums such as Liverpool's Anfield ground, Sheffield United's Bramall Lane and Arsenal's Emirates Stadium but there is no room for the 25,000-capacity home of the reigning Super League champions. Newcastle's St James' Park, the home of the Magic Weekend for the last four years, will host the opening game on October 23, 2021 with the final set for Old Trafford on November 27, 2021.